Veni eliminates the "where to eat" discussion among friends. 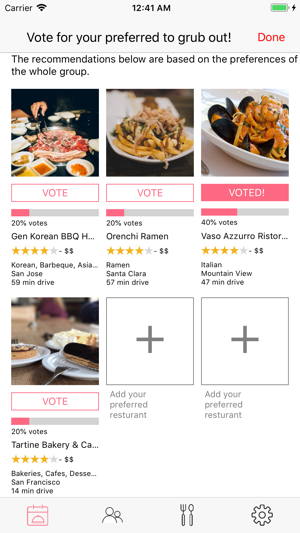 Using AI, Veni accelerates your daily delicious decisions. When you invite your friends to grub out, Veni suggests 3 favorable restaurants to the group based on everyone's preference. Make the final decision by a simple tap. No worries if your friends haven't installed Veni. They can be invited and decide the restaurant with you via text message. 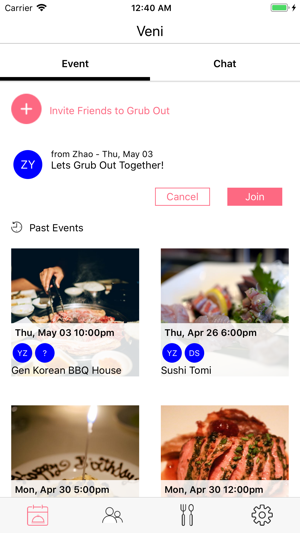 • Smart Group Recommendation: Veni recommends restaurants based on everyone's preference in the group. 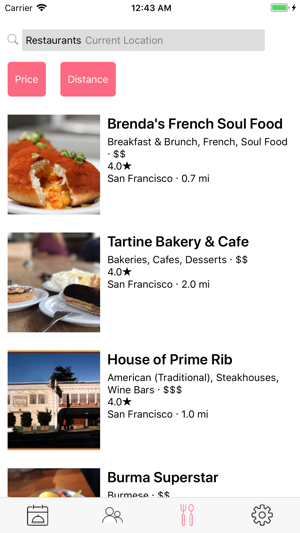 • Make Decision Instantly: No more annoying discussions on the "where to eat". 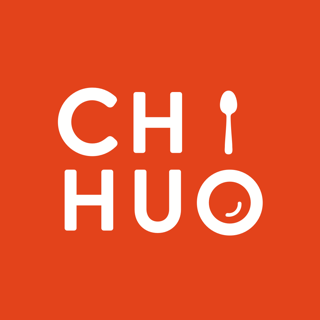 Decide the restaurant with friends by a simple tap. 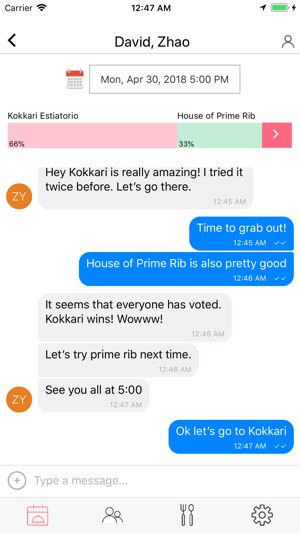 This is a great app to make a decision when hanging out with friends. It’s easy to choose restaurants based on the recommendation and convenient to coordinate with attendees. Definitely recommend it and worth trying!